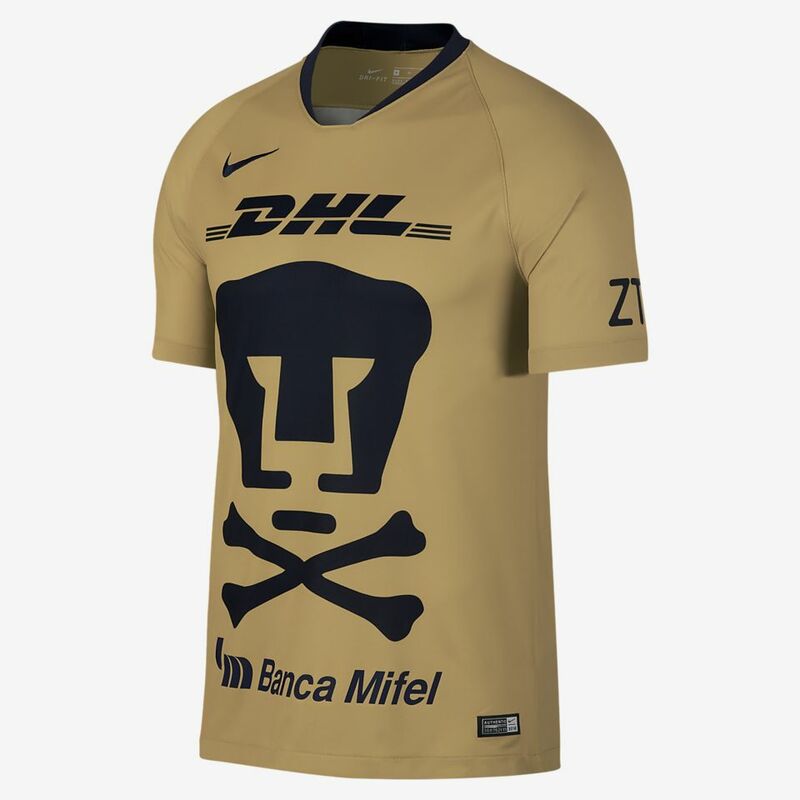 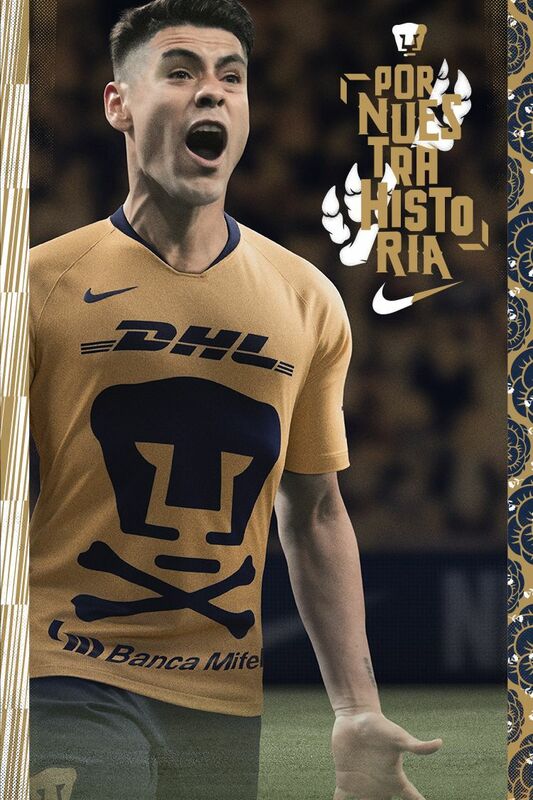 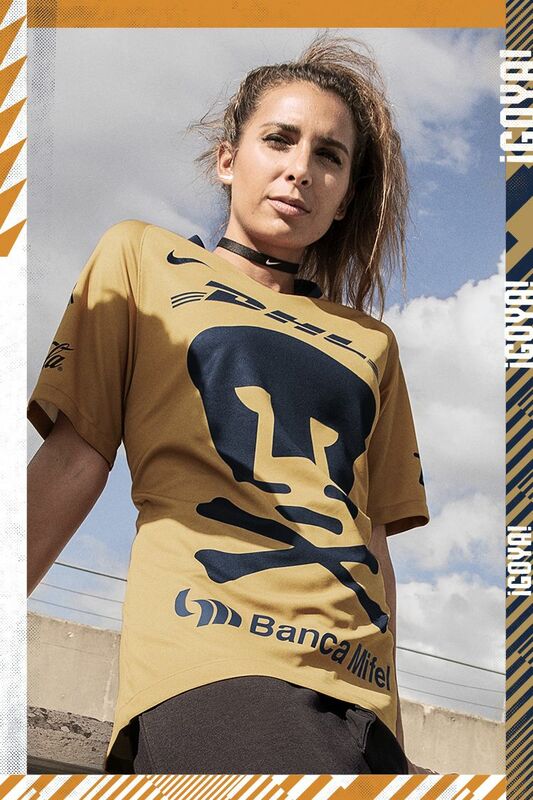 Celebrating the iconic Mexican Día De Muertos (Day of the Dead) tradition, the Pumas shirt pays homage to club legends who cemented the team's legacy and inspire new generations to defend the blue and gold. 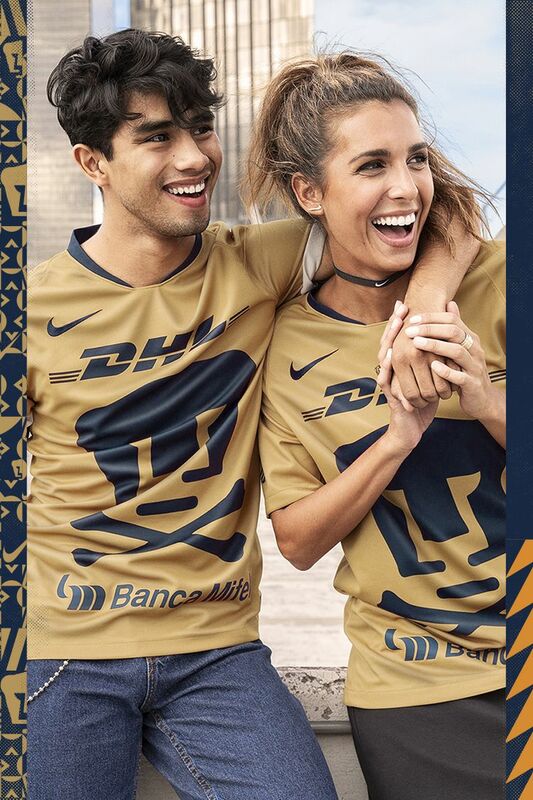 This 2018/19 alternate kit represents Mexico's Day of the Dead, a celebration that remembers deceased loved ones in a joyful festival. 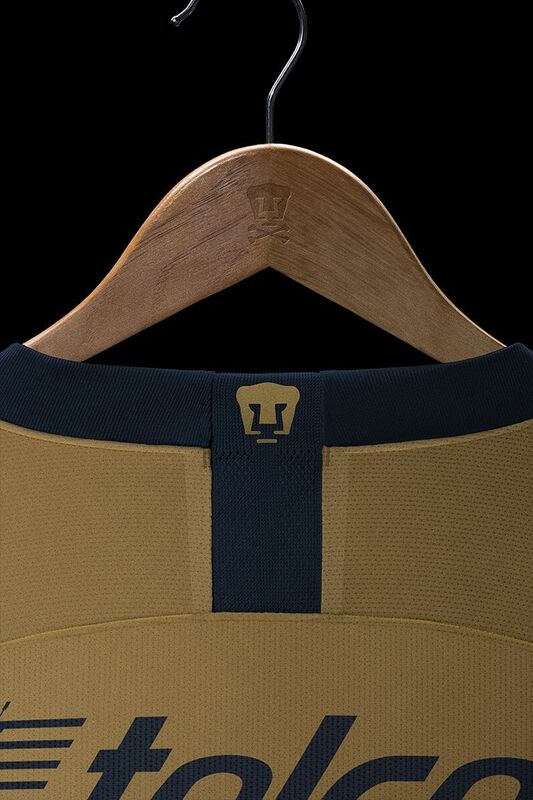 Sparked by that tradition, the shirt connects past and present with vibrant Mexican culture. 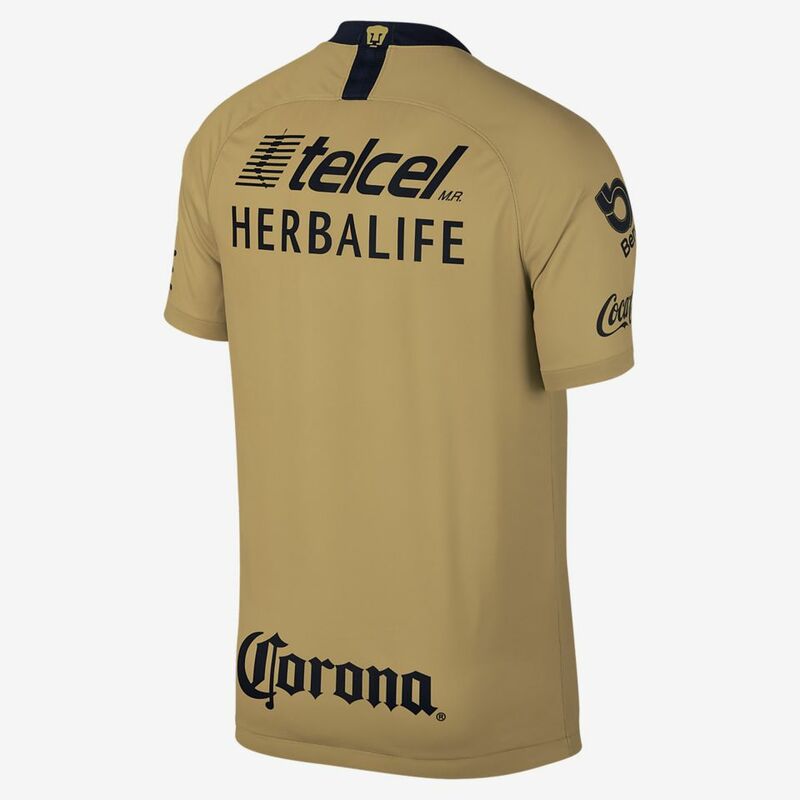 The shirt features the traditional blue and gold that have distinguished the team for years. 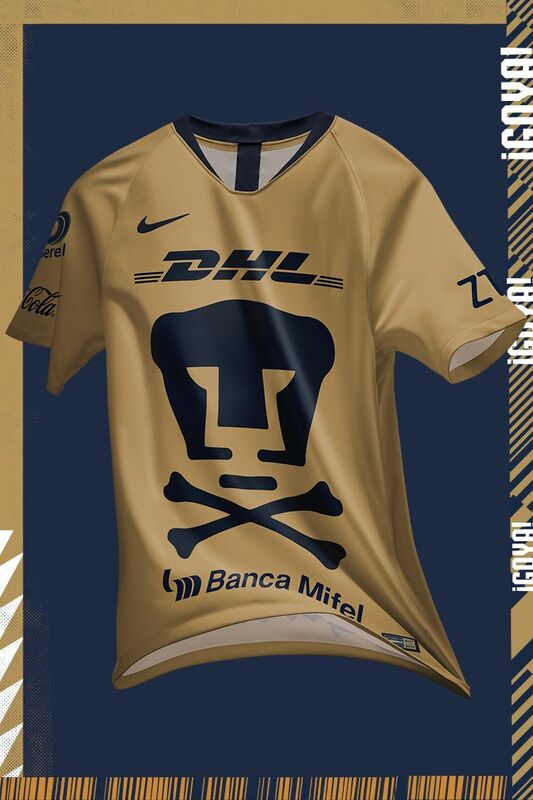 For the first time, two crossed bones have been added under the Pumas' emblem, a bold tribute to the skulls that adorn altars and honour Mexico's ancestors during Day of the Dead.